* Imprint area: 2 1/4"x 1 1/2" approximately sweater shape area. * Ornaments measure approximately 3” tall. * Production time: 6 working days standard, rush service available. 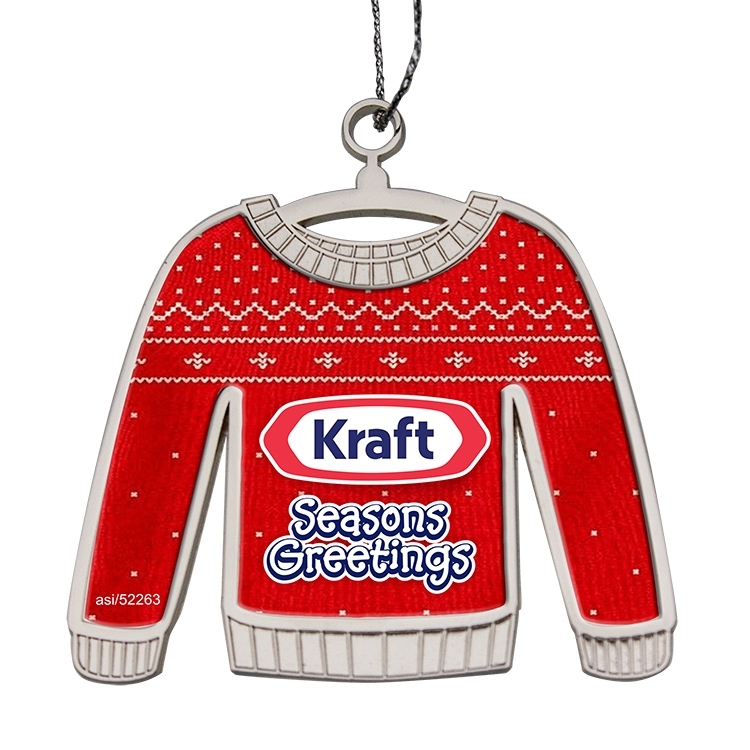 * Create your own ugly sweater design or choose from 5 Sweater stock designs available and add your logo or holiday message.